Join Rental Beast to access powerful tools designed to help you grow your business and fast track your success. Find over 7 million rental listings not found on the MLS—all direct from the property owners. Never worry about co-brokes again! The homeownership rate is at its lowest in decades with over 110 million people renting today. This unique opportunity gives agents the chance to grow their real estate business by leveraging rentals. Pave the way for future income. Start building a meaningful book of future buyers and sellers right away. Most agents spend months waiting for a sales transaction to close. Turn months into days with rental transactions and start seeing your money faster! What’s your strategy for sustained growth? Rental Beast provides a constant stream of first-time homebuyers through residential rentals. Once you find them a rental, they won’t hesitate to use your services to find a home. Let us help you build your sales pipeline and convert renters into homebuyers. How will you build your book of business and expand your sphere of influence? You have to start somewhere. 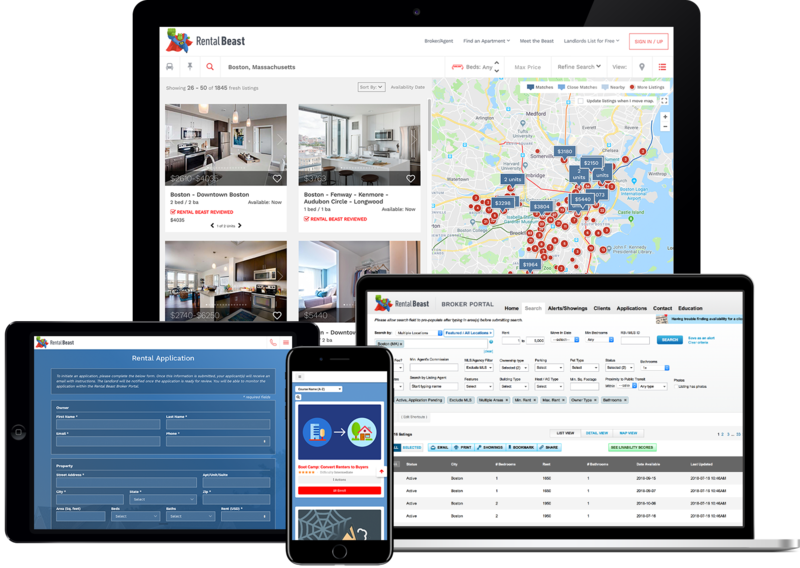 Rental Beast provides a residential rental database with over 7 million listings not found on the MLS. You can collect 100% of the commission on our listings. I don’t know where to start with rentals, how do I succeed on rentals as an agent? Whether you’re a new or experienced agent, we've got you covered. With Rental Beast University—our comprehensive education platform—we help develop your business and teach you how to make money through rentals. We offer educational programs on every topic and for every skill level with access to classes, your own coach—a licensed real estate expert, and daily goals to track your rental success. We know you want to succeed and we’re here to help you do just that. 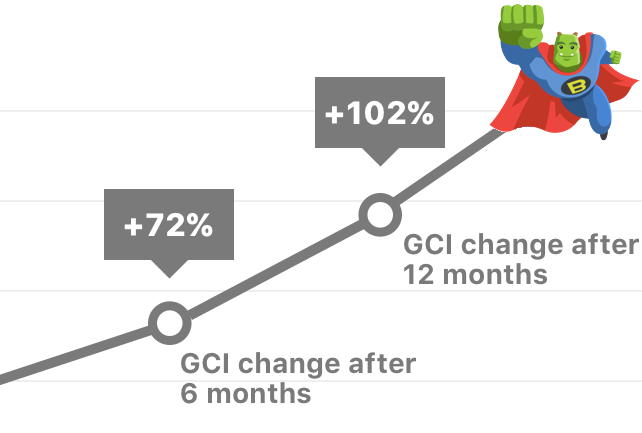 Agents using Rental Beast saw a 102% increase in GCI over their first 12 months compared to non-Rental Beast agents. A feature-rich solution designed by industry experts who understand agent needs. Unmatched depth and accuracy of information and validation for each property by the Rental Beast team. Expand your book of business and close more deals. You never have to worry about co-brokes again! 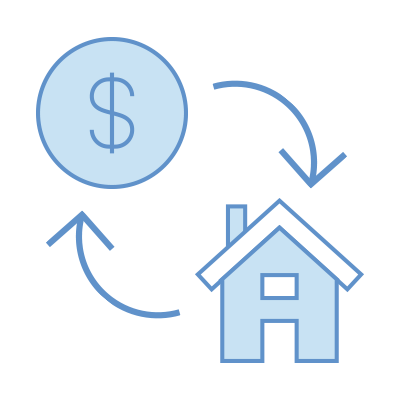 Stay organized and manage incoming leads allowing you to identify and convert renters into homebuyers. Email outreach plans and social media sharing tools right are at your fingertips. Initiate, manage and monitor applications on any rental listings with our FCRA compliant application processing tool. Explore Rental Beast University with self-paced courses, on-demand webinars, and how-to guides. You’ll even get hands-on expert coaching from licensed industry experts to fast track your success. Learn more about how our powerful tools can help grow your business. Rentals are a powerful way to grow your business and convert renters into buyers. 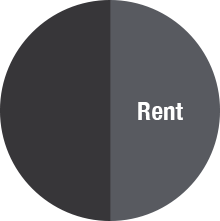 Learn more about how rentals can help you make more money. Learn more about how Rental Beast has helped agents build their sales pipeline and make more money. Ready to supercharge your real estate business? Get your personal demo today with one of our industry experts!